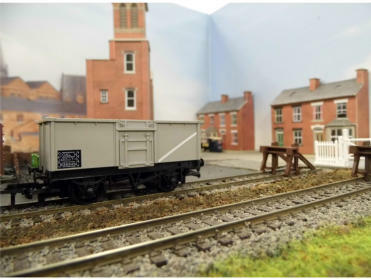 Layout Manager: John Collins, Deputy Neil Baker A “OO” gauge layout set in an industrial area of the North of England during the 1950’s / 60’s. 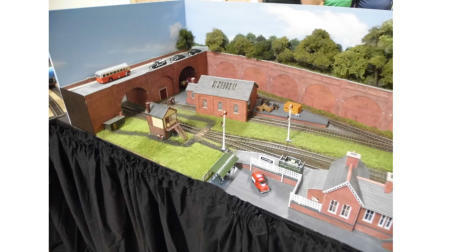 A fictional based diorama set around the town of ‘Eckerslike’ dominated by a viaduct and substantial industrial red brick buildings built in the Victorian era. The railway station was originally an intermediate station on the Fair to Middlin line. The railway line was, however, truncated at Eckerslike following closure of the mine at Middlin during the 1930’s. The railway nowadays is a branch line from Fair providing a regular passenger service between the two towns. 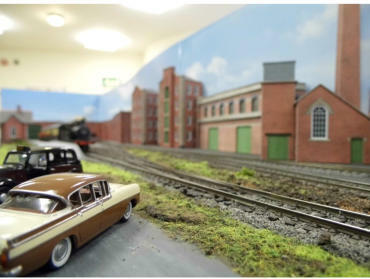 There is also a busy goods shed serving local people and industry and a private siding to the large engineering works adjacent to the station with an active coal yard. BR steam locos as well as early green diesels and DMUs provide the motive power. 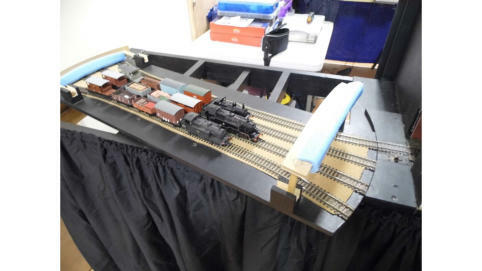 The fiddle yard which can be turned through 180 degrees.